Get That Look with ghd! 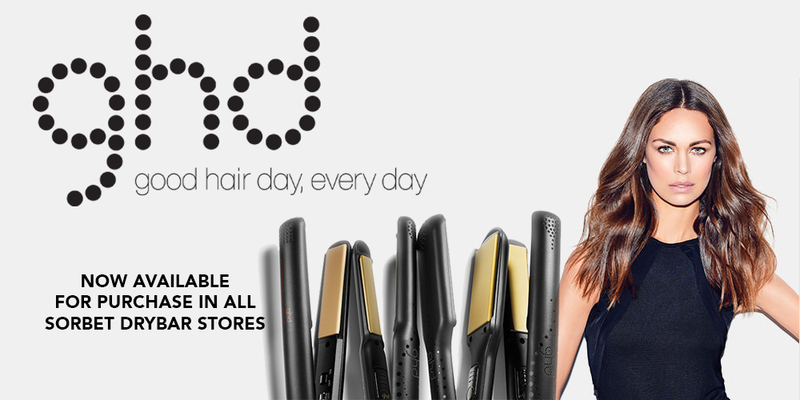 The world renowned Hair Styling Brand, ghd, has hit out DryBars with a bang and we want you to get in on the action! With spring just over month away, we want you to be fully prepped with some brilliant styles for the upcoming summer season. We have put together some amazing looks for gorgeous hair, whatever the occasion! Whether its Deep waves, Beach waves or Flowing waves, we know you will find the perfect look that suits your hair and your lifestyle! Prep hair with ghd curl hold spray. This cre¬ates a gutsy, second day texture that is the perfect foundation for beachy styles. Place a section of hair between plates, turn styler towards you and pull down 10cm (less if your hair is shorter). Next, turn styler in the opposite direction and pull down, repeating this alternating technique until you reach the ends. Don’t worry about the waves being uniform and perfect, the idea is to add a slight bend throughout the hair. Using your fingers break up the waves or, for softer movement, use a ghd detangling comb. Create deep and shimmering waves using the ghd platinum™ styler for instant glamour. Place section of hair between plates and rotate away from the face, gliding through to ends while continually rotating the styler. Repeat technique, throughout hair, always turning the styler in the same direction. Transform tousled texture into flowing waves using the ghd gold V classic styler. It’s the modern way to add movement – perfect for beach to bar styling. Prep dry hair with ghd heat protect spray. This will hydrate and protect your hair while styling. Section hair and lightly press with the styler until smooth. Repeat throughout hair. When you get to the front section, gently rotate the styler away from the face and glide down slowly to create a bend in the mid-section, leaving the ends sleek. Once the hair has cooled, brush through with a ghd paddle brush to stretch and blend the wave into the rest of the hair. Finish with ghd final shine spray for gloss. ghd is now available in all Sorbet Drybar stores!